"Who needs libraries?" Beneath those three words is an iceberg of challenges, from delivering on-point messaging, gathering compelling statistics, and the need to re-educate key audiences on the value of libraries, fundamental not only to librarians, but to our democratic society at large. The recent rash of anti-library trends, including the anti-tax movement, privatization, removal of independent library boards and deprofessionalization, point to a systemic shift in our landscape that is very different than budget cuts and recession: an attack on libraries as a public service. 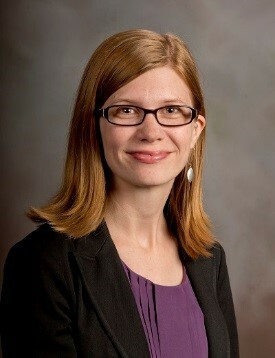 Megan Murray Cusick is the Grassroots Specialist in ALA’s Office for Library Advocacy. She assists the advocacy efforts of librarians, library staff and advocates across the country, in cooperation with other ALA offices, as well as state chapters and affiliates. She has also provided support to the Center for the Future of Libraries by identifying the work of libraries that intersects with broader social trends. Prior to joining ALA in 2015, Megan was a high school librarian and co-founder of Chi School Librarians. She has presented and published on topics such as partnerships, library trends, intellectual freedom and advocacy. Kristin Pekoll is the Assistant Director for ALA's Office for Intellectual Freedom where she works with librarians, teachers, administration, and parents regarding challenges to library materials and reading lists. 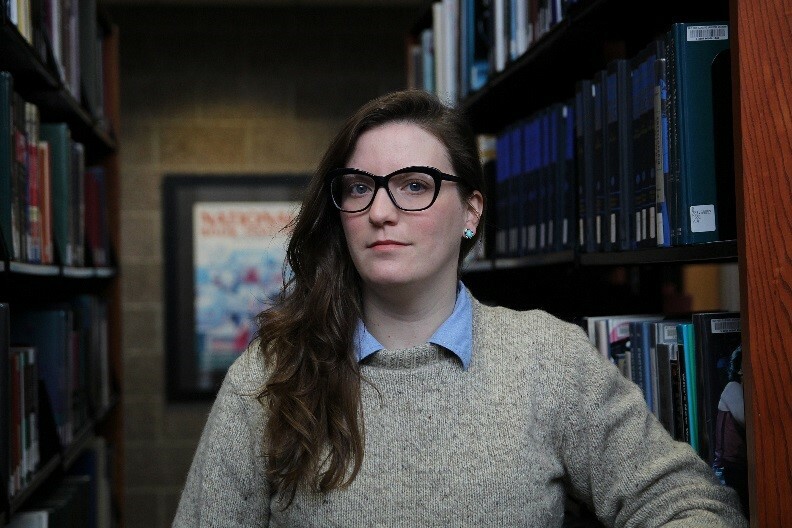 After receiving her MLIS at the University of Wisconsin in Milwaukee, she was a young adult librarian for 12 years in Wisconsin. In 2009, more than 80 YA LGBTQ books were challenged. While the library board voted to retain all of the books, Kristin learned the indispensable value of support and education for librarians. She continued to fight against censorship in Wisconsin as the chair of the Intellectual Freedom Roundtable. She is a contributor to the 9th edition of the Intellectual Freedom Manual and True Stories of Censorship Battles in America's Libraries. And she is a published author with AASL's Knowledge Quest, VOYA, and Huffington Post. Kristin has presented in panels and keynotes for national and state conferences. She designs original webinars and custom tailors all of her online presentations to the specific situation. Although, she has facilitated to a broad range of audiences, her favorite are still teenagers. Lauren Pressley, ACRL President and Director of the University of Washington Tacoma Library and Associate Dean of University Libraries. The University of Washington Tacoma is an urban campus that is changing the face of its region architecturally, culturally, and economically. Prior to joining the University of Washington. Libraries, Lauren was Director of Learning Environments for Virginia Tech University Libraries and held a number of roles related to instruction and technology at Wake Forest University's Z. Smith Reynolds Library. Lauren regularly publishes and presents on formal and informal learning, the evolving information environment, and the future of libraries. She also has worked closely on issues related evolving pedagogical models, integrating the library into formal and informal learning, incorporating design principles into library spaces and services, and organizational change. 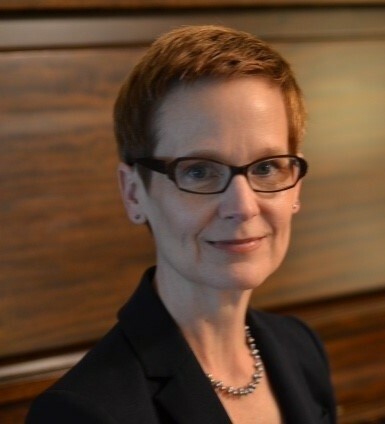 She has served in several positions within the American Library Association (ALA), the Library Information Technology Association (LITA), the Association of College and Research Libraries (ACRL), the Horizon Project, and Library Pipeline. 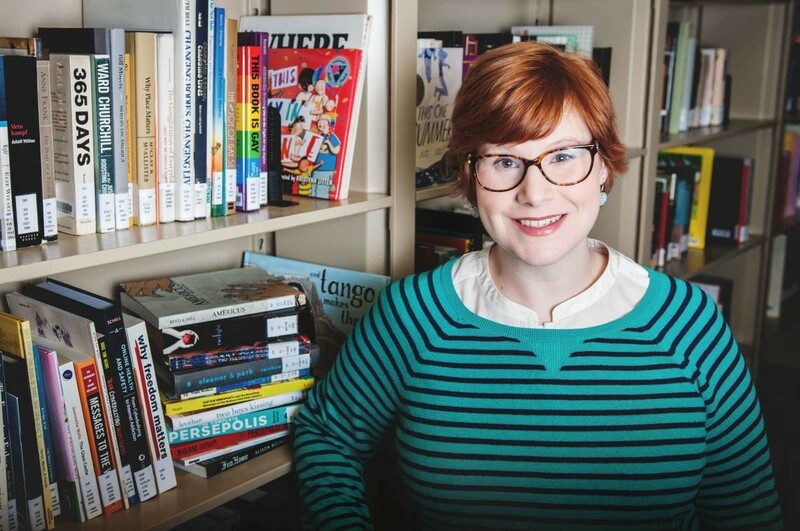 Lauren has been recognized with an Distinguished Alumni Early Career Award from the UNC-Greensboro, School of Education, as a Library Journal Mover and Shaker, and as an ALA Emerging Leader. She holds Bachelor of Arts degrees from North Carolina State University in Small Group and Interpersonal Communication and Philosophy and a Master of Library and Information Studies degree from UNC-Greensboro. Lauren recently participated in the 2014 UCLA Senior Fellows Program. Hulen Bivens: Hulen E. Bivins is the Executive Director of the Mississippi Library Commission. 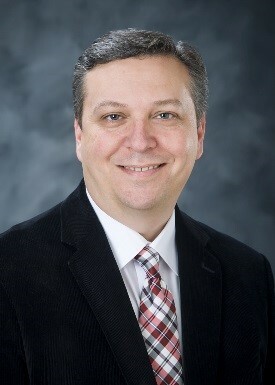 Previously, he has been the Director of both the South Carolina State Library and the North Dakota State Library. He was also the Assistant Director of Alabama’s State Library and he has been a member of the library staff at Marshall University, a Division Chief with the Nashville TN Public Library and the Director of the Spring Hill TN Public Library. Bivins holds a Bachelor of Arts Degree in History from Lipscomb University, a Master of Science in Library Science from the University of Tennessee, and a Juris Doctorate from the Jones School of Law at Faulkner University. Barnes has worked in the librarianship field for thirty years and has been in her current position since 2013. Prior to that, Lori was the Branch Manager of the Pascagoula Public Library, where she received her first library card at the age of four. 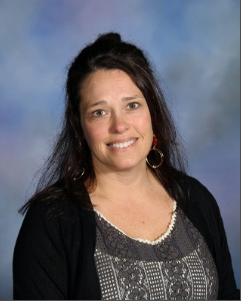 A graduate of The University of Southern Mississippi (BS, Interior Design) and The University of Alabama (MLS), Barnes has also worked as a school Media Specialist for seven years and has worked in various public library positions. Barnes prioritizes participation in professional library associations and organizations, including serving on the Committee for Public Library Development of the Alabama Library Association, as well as with efforts to expand services for the incarcerated. Barnes currently serves on the Scholarship Committee, the Awards Committee, and is the current MLA secretary. Stephen Cunetto, Associate Dean, University Libraries, earned his B.S. in Communication at Mississippi State University and his Masters in Library and Information Science at the University of Southern Mississippi in 2006. As the Associate Dean he provides strategic direction, oversight, and maintenance of the Libraries' technological infrastructure and technology services, ensuring tight integration of all digital and online services as well as assists in the overall management and strategic operation of the University Libraries. He manages and provide direction for Access Services, Digital Media Center, Systems, Web Services, Digital Preservation and Access Unit, and the Charles Templeton Music Museum. Other responsibilities include serving as the director of the Mississippi Library Partnership, a consortium of 53 academic, public and school libraries, managing the Mississippi Academic Library Consortium and serving as a member and the Technical Advisor for the MAGNOLIA project. Cunetto served as the President of the Mississippi Library Association, Mississippi Theatre Association, Starkville Area Arts Council, and Starkville Community Theatre. Osborne has 17 years of experience as a Mississippi public school educator. After graduating with a B.A. in Literature from the University of North Carolina in Asheville, she began a 13 year career teaching middle and high school English throughout Central and North Mississippi. During that time, she earned a Masters in Arts in Teaching degree from Belhaven College in Jackson, MS, as well as National Board Certification in Early Adolescence English Language Arts. In 2014, she transitioned to the role of Librarian for grades 5-8 at Pontotoc Middle and Jr. High Schools in Pontotoc, MS. Now a 5 year school librarian veteran and graduate student at the University of Mississippi, she serves as Librarian at Oxford High School in Oxford, MS. She is also happy to be the mom of 11 year old Annelise, 8 year old Ivy Scott, and a one-eyed rescue dog named Cap-n-jack. Shaw has served as the Head of Gunter Library at the Gulf Coast Research Laboratory since December 1995. In 2008 she was invited to join the faculty of University Libraries (The University of Southern Mississippi) and was promoted to Professor in 2015. Since 2006, she has been adjunct faculty at Mississippi Gulf Coast Community College—Jackson County Campus. 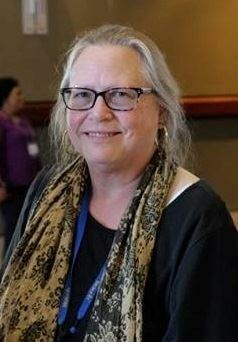 A 22-year member of the International Association of Marine Science Libraries and Information Centers (IAMSIC), in 2013-2015, Shaw served as the regional affiliate’s Representative on the IAMSLIC board. She is serving in her third term as Chair of the Special Libraries Section of the Mississippi Library Association. The Gunter Library serves the students, faculty, and researchers at the Gulf Coast Research Laboratory and the School of Ocean Science and Engineering at Southern Miss. Lacy Ellinwood is the Library Development Director at the Mississippi Library Commission (MLC). She received a BA in Art History and her Masters in Library and Information Science from the State University of New York at Buffalo. Lacy works closely with Friends of the Library groups and is an avid supporter of the right to read for all. She has been with MLC for six years and her work anniversary is the week of MLA! Have you heard about RFPs (Request for Proposals), but don’t know what they are or where to begin? Are you looking to purchase new equipment for your network, or is your ILS contract ending within the next year or two? Would you like some tips and resources to help you prepare your RFP? If so, come join us for the TSRT program and discussion on the basics of RFPs, presented by Lynn Burris and James Dunaway from the Mississippi Library Commission. A TSRT business meeting will follow the presentation. Lynn Burris is currently the Business Services Director for the Mississippi Library Commission and has spent over 19 years working for the State of Mississippi in accounting and finance. She has previously served as the Purchasing Director for both Boswell Regional Center and the Mississippi Development Authority and served on the logistics team for the Department of Finance and Administration during the implementation of the State of Mississippi MAGIC system. She is a Certified Public Procurement Official, a Certified Professional Public Buyer, and a Certified Mississippi Purchasing Agent. She is member of both the Mississippi Association of Governmental Purchasing and Property Agents and the National Institute of Governmental Purchasing. Lynn received her Master of Science in Management at Belhaven University and a Bachelor of Business Administration from the University of Southern Mississippi. She is originally from Mize, Mississippi and currently resides in Brandon with her husband David and her dog Leopold. James Dunaway joined the Mississippi Library Commission in 2016, as a contract consultant, after a career with the Mississippi Department of Mental Health. James currently serves as the Technical Services Director, a role which oversees the day to day activity of the Mississippi Library Commission’s technology department. James retired from the position as the Chief Information Officer for the Department of Mental Health August 2016. He had been with DMH-MS State Hospital since 1993 having previously been employed with Martin Marietta Aerospace – Michoud Division (currently Lockheed Martin) since 1985. His Bachelor’s degree was awarded at the University of Southern Mississippi, Hattiesburg, MS in May of 1985 where he was a member of Tau Kappa Epsilon.. He received his master’s degree in Public Policy and Administration from Mississippi State University, Starkville, MS in December of 1998. Mr. Dunaway served as board member for the Mississippi Health Information Network, and as an executive committee member for the Dialogues on Behavioral Health Care organization. James completed Certified Public Management, Leadership Rankin, and the State Executive Development Institute programs and has previously devoted hours with the Rankin County School Student Mentor program, Rankin County Chamber of Commerce, Brandon Lions’ Club, Exchange Club of Brandon and has been recognized for his support of ESGR (Employer Support of the Guard and Reserve). Mr. Dunaway is originally from Pike County, Mississippi. He is a current member of Lakeside Presbyterian Church, Brandon MS, is married to Vicki Dunaway and they have one daughter, Natalie. With more than 25 years of professional development, facilitation, and customer service performance throughout her career, Berlinda Williams-Strong is a "people-builder." Berlinda's communication skills and talents relating to training, development, and delivery are noted within her former work positions and the community-at-large. Her presentation methods and style are progressive, engaging and fun. She always delivers diverse information that includes points to enrich your professional and personal self. Berlinda describes herself as a transformational leader. She strongly values the opinions of others and enjoys working in a shared environment where collaboration is essential. Berlinda's presentation for the upcoming MLA Conference 2018 will be "Icebergs DO Melt!" Our world is C-H-A-N-G-I-N-G! Even in leadership roles, much of our resistance towards change is brought on by fear of making the change. It can be based on a difference in generations, skills, work ethics, excuses…a myriad of reasons. The shared information will include points for leading change and to transform efforts by motivation to face the future and take actions. The importance of change within work cultures and how to overcome the fear of it all will be discussed. Then, we can successfully start to proactively look at ways to become change agents within our work and home lives. 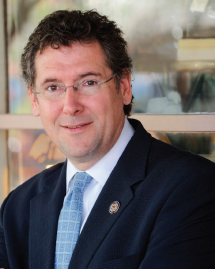 Long-time library advocate, Congressman Gregg Harper will give the Keynote address. MLA President, Sarah Mangrum, will introduce Congressman Harper. In November of 2016, Congressman Gregg Harper was elected to serve his fifth term in the U.S. House of Representatives after having been first elected to Congress in 2008. The Congressman has lived in Mississippi’s Third Congressional District since 1972 and currently resides in Pearl, Mississippi with his wife of thirty-nine years, Sidney. They have a son, Livingston, a daughter and son in law, Maggie and Brett, and a grandchild, Lee. The Harpers are active members of Crossgates Baptist Church in Brandon, Mississippi where he served for many years as a high school and college Sunday school teacher. Congressman Harper and Sidney are both graduates of Mississippi College where he majored in Chemistry and then earned his law degree from the University Of Mississippi School of Law in 1981. Prior to being elected to Congress, Gregg practiced law for twenty-seven years, including serving as the prosecuting attorney for the cities of Brandon and Richland, Mississippi. He served on the Mississippi Oil and Gas Board, remains active in his community as a member of both the Pearl and Rankin County Chambers of Commerce, and served as the board attorney for the Mississippi Baptist Children’s Village until his election to Congress. In the 115th Congress, Gregg was selected by the Speaker of the House to serve as Chairman of the Committee on House Administration, a standing committee with vast oversight and administrative responsibilities in the House of Representatives and additional institutions. Chairman Harper also sits on the influential House Committee on Energy and Commerce, where he serves as Chairman of the Oversight and Investigations subcommittee, and is a member of the Energy and Environment subcommittees. Additionally, Congressman Harper serves on the Joint Committees on Printing and the Library of Congress, where he serves as Chairman. In addition to his committee assignments, Chairman Harper and his wife, Sidney, are committed to supporting families raising children with special needs. As a member of Congress, Gregg founded the Congressional Internship Program for Individuals with Intellectual Disabilities. He looks forward to his work in the U.S. House of Representatives to advocate conservative values in the important tasks and challenges facing America. LaDonna Marie is an International Multi-Award winning Bestselling Author, Host, Poet, and Motivational Speaker. She published her first poem in an anthology “Whispers with The League of American Poets,” in 2007. In 2010, she self-published her first book “Expressions of the Mind, Body & Soul”. She received a Certificate of Congratulation from Congressman Bennie Thompson, 2nd district of MS. She was inducted in “Who's Who in Black Mississippi” in 2012. 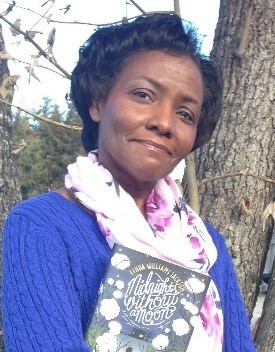 She featured in the International Sibella Poetry Magazine for the entire year of 2014 and was also a part of the anthology, “The Gospel According to Poetry.” “Until Tomorrow Comes” was awarded Honorable Mention in the 2014 Paris Book Festival and a 2014 DJ Gatsby Book Club Literary Award Winner in Poetry. She was also a Finalist in 2015 Diva Author / Writer for Divas of Colour International Award. She was a 2015 Finalist for National Indie Excellence Awards, received Honorable Mention in New York Book Festival, Red City Book Awards Finalist, and Bronze Medal Readers' Favorite Winner. She also placed in 2015 and 2016 New England Book Festival Honorable Mention. She was a two-time Indie Author Legacy Award Finalist for Poet of the Year. She was Awarded 2018 International Author of the Year from Divas of Colour Awards. She received her undergraduate degree from Alcorn State University in 2005 with a B.A. in Social Work. She has an M.S. in Counseling Studies from Capella University and an M.A. from South University in Professional Counseling in 2012. LaDonna has two wonderful children Landon and Lathan Cook. Born in Natchez, MS, Zion McThomas has always had the arts in her blood. Despite moving around a lot as a child, her writing became a staple as she matured. She has been writing poetry since she was 10 and has been performing her poetry for the last four years in cities such as Jackson, MS; Memphis,TN; and her hometown of Natchez. She is in the process of releasing her own book "Ramblings of an Ain't" as well as a Spoken Word EP titled "Self Medication" under Meridian's own Nostalgic Musiq Productions. Currently, she is an English I and music instructor at the high school and hopes to start graduate school next fall majoring in Music Theory. She hopes that her words can be of help to those who need it the most and inspire those to never give up on their dreams. 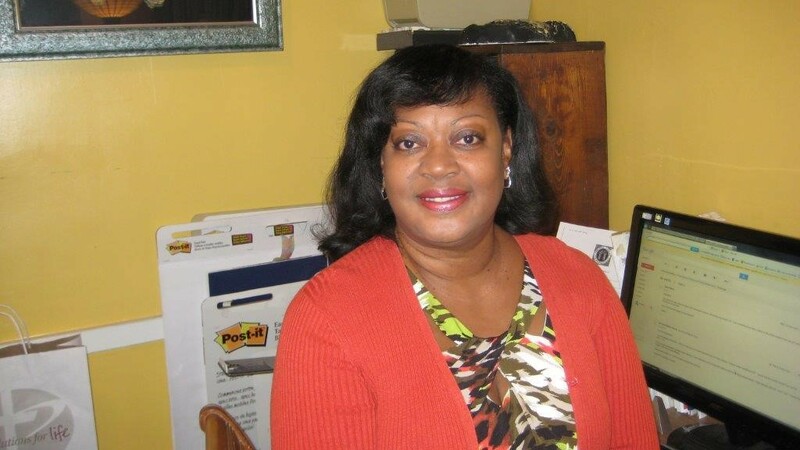 Linda Williams Jackson: Born and raised in the Mississippi Delta, Linda Williams Jackson likes to spin stories about ordinary people doing extraordinary things. Her debut middle grade historical novel, Midnight Without a Moon, is about an ordinary thirteen-year-old African-American girl who must make an extraordinary decision after the 1955 murder of Emmett Till. Deemed “a powerful novel” by reviewers and a 2018 Notable Children’s Book by the Association for Library Service for Children, Midnight Without a Moon appears on recommended reading lists at multiple middle schools and public libraries, including the New York Public Library and the San Francisco Public Library. Midnight Without a Moon is also an honor book for the 2018 Jane Addams Peace Award. A Sky Full of Stars, Jackson’s second book in The Rose Lee Carter Series, was published to critical acclaim in January 2018. Jackson currently makes her home in Southaven, Mississippi. She shares this home with her husband, three children, and a spoiled cat. As the theme this year states, “Everyone Belongs @ Mississippi Libraries.” Likewise, State Librarian Stephen Parks believes that every library belongs at MLA. In this vein, he will share with attendees the history of the State Library of Mississippi. From its beginning as a collection of books and maps two hundred years ago to the national recognition it receives today, the history of the State Library is one of service to the state government and the public. Interspersed throughout this history are stories of Civil War intrigue, thieving librarians, heroic librarians, and much more. You will come away from this session with greater knowledge of the State Library’s mission and with unbelievable stories to tell others. MacArthur Genius and two-time National Book Award winner Jesmyn Ward has been called “the new Toni Morrison” (American Booksellers Association). In 2017, she became the first woman and first person of color to win the National Book Award twice—joining the ranks of William Faulkner, Saul Bellow, John Cheever, Philip Roth, and John Updike. Her writing, which encompasses fiction, nonfiction, and memoir, is “raw, beautiful and dangerous” (The New York Times Book Review). Ward’s novels, primarily set on Mississippi’s Gulf Coast, are deeply informed by the trauma of Hurricane Katrina. Salvage the Bones, winner of the 2011 National Book Award, is a troubling but ultimately empowering tale of familial bonds set amid the chaos of the hurricane. Likewise, Ward’s debut novel, Where the Line Bleeds (reissued in 2018), depicts what Publishers Weekly calls “a world full of despair but not devoid of hope” in the aftermath of natural disaster. Ward’s memoir, Men We Reaped, deals with the loss of five young men in her life—to drugs, accidents, suicide, and the bad luck that follows people who live in poverty. In 2016, Ward edited the critically acclaimed anthology The Fire This Time: A New Generation Speaks About Race, a New York Times bestseller. Her latest novel, the critically acclaimed Sing, Unburied, Sing, has been called “a searing, urgent read for anyone who thinks the shadows of slavery and Jim Crow have passed” (Celeste Ng). Sing won the 2017 National Book Award and was nominated for the PEN/Faulkner Award, the National Book Critics Circle Award, and the Aspen Words Literary Prize. An associate professor of creative writing at Tulane University, Ward received the 2016 Strauss Living Award and a 2017 MacArthur Genius Grant, and was named one of Time’s 100 most influential people of 2018. Angie Thomas was born, raised, and still lives in Jackson, Mississippi. A former teen rapper, she holds a BFA in creative writing from Belhaven University. Her award-winning, acclaimed debut novel, The Hate U Give, is a #1 New York Timesbestseller and is soon to be a major motion picture from Fox 2000, starring Amandla Stenberg and directed by George Tillman. Her second novel, On the Come Up, will be published February 5, 2019. Dr. John F. Marszalek is the Executive Director and Managing Editor of the Ulysses S. Grant Association’s Ulysses S. Grant Presidential Library at Mississippi State University. He took over that role in 2008 when the USGA came to the state. Marszalek taught at MSU from 1973 until he retired in 2002 as Giles Distinguished Professor Emeritus of History. In 1993, he won the Mississippi Library Association’s Non-Fiction award for his biography: Sherman, A Soldier’s Passion for Order. He has written and edited fifteen books. David S. Nolen is the Associate Editor in the Grant Presidential Library. He was the Humanities Librarian at Mississippi State University from 2008-2103. He is a graduate of the University of Alabama where he earned his library degree and was a member of Phi Beta Kappa. He also graduated from the University of Florida with a Master’s degree in Foreign Languages. He is fluent in Spanish and specializes in Latin American literature. Louie P. Gallo joined the Grant Presidential Library as a visiting assistant editor in 2014. In 2015, he became a full time assistant editor. Previously, he was the assistant curator at the William McKinley Presidential Library and Birthplace Museum in Niles, Ohio, and has worked as a research assistant on the Frederick Douglass Papers and the Sutliff Family Collection. He has an undergraduate degree in History from West Liberty University, and a Master’s degree in American Studies with a focus on Public and Applied History from Youngstown State University. The Personal Memoirs of Ulysses S. Grant: The Complete Annotated Edition is the first major publication for both Nolen and Gallo. Mississippi State University (MSU) Libraries has held an annual Genealogy Fair for the last twelve years as a way to engage the community. The fair, named for E.O. Templeton, Jr. in 2013, features a variety of sessions, workshops, and research opportunities for history and genealogy enthusiasts, including hands-on research help from MSU librarians and archivists. Attendees learn about genealogical resources at the MSU Libraries, improve their genealogical research skills, pick up tips for preserving their family history, and have the opportunity to tour MSU Libraries' museums and exhibits. In keeping with the theme “Everyone Belongs @ Mississippi Libraries,” this poster would present information on how MSU hosts its fair, what it accomplishes in bringing community members to the library to discuss a popular hobby, and how other academic and public libraries in the state could host their own fairs. A growing number of libraries in the United States and abroad have discontinued fines for late materials in efforts to increase library usage, bolster positive relationships, and foster goodwill between libraries and the communities they serve. This research examines library fines, fees, and forgiveness programs in Mississippi academic libraries. How many libraries have discontinued overdue fines or adopted amnesty type programs and what are the nature of these programs? This poster graphically represents loan periods, overdue fines, processing fees, grace periods, and fine forgiveness. While most students understand the concept of cheating, their awareness of other forms of academic dishonesty, such as plagiarism, often remains fuzzy. With reports of academic misconduct on the rise across college campuses, it is imperative for students to know the behaviors that constitute academic misconduct and to understand the consequences of that behavior. Research Services librarians at Southern Miss have long provided students with handouts, videos and other materials to help them navigate the potential minefield of evaluating resources, using proper citations and avoiding plagiarism, but in 2016, they partnered with academic affairs to create a new academic integrity workshop in support of the USM’s new Academic Integrity Policy. This poster outlines the collaboration effort, the librarians’ goals for the workshop, and what students learn during the 75 minute session. After surveying YALSA's Teens' Top Ten Lists from 2007 to 2017, I found a lack of diversity in the chosen novels' principle characters. This poster would look at those findings and highlight the need for more POC and LGBTQ protagonists. This poster would also provide a bibliography of diverse books to include in a YA collection. Title: Story Walks in Your Community! What is a story walk, and how can it help you promote your library? This poster will cover the basics of creating and promoting story walks in your town. Active-learning and flipped classrooms have shown an increase in student understanding in the classroom. Library instruction also benefits from using flipped classroom and active-learning strategies and by engaging Generation Z students through games in the library classroom this style of learning enhances their understanding and knowledge of library resources and how to conduct research. This poster will provide examples of engagement activities, such as Library Scavenger Hunts, along with satisfaction data from students. Sensory Programming is gaining traction in libraries through story times and other programs that mirror their regular programming. What about those special times of the year such as holiday programs or summer reading? These programs are often loud and packed with eager patrons, which can be uninviting to individuals who have Autism Spectrum Disorder (ASD) or other sensory processing disorders. This poster session will highlight the ways in which the Madison Public Library has incorporated sensory programming into its holiday programming and summer reading programming. This poster project will discuss the role of English as a Second Language and ESL resources across Mississippi, and Mississippi Library Commission's initiatives to incorporate ESL into Continuing Education programming by offering webinars, materials, and workshops. Public libraries remain vital in their communities by providing patrons with trustworthy information as well as resources to help with their information seeking. These libraries help bridge the digital divide and provide access to public computers and the internet, which have become an integral part of modern life. It is therefore vital that libraries work towards not only increasing tech literacy in their communities, but also providing patrons with the tools they need to access and evaluate digital resources. This poster will show ways that this can be done, such as offering digital literacy programs and basic computing classes, something now being implemented at the Library of Hattiesburg to address the needs of our community. Traditionally, archival collections have been the arena of researchers. People donating their collections to academic institutions have typically done so in order for those to be used by academics. In recent years, however, educators have realized the importance of teaching students how to understand primary sources. Mississippi State University’s Special Collections has made a strong effort to encourage and increase understanding of primary sources through outreach and teaching to various departments on campus. One collection in particular, that of alumnus Dr. Todd Herring, has proven to be a treasure trove of educational resources for students. This poster will show how this one large collection, with material ranging from 16th century Europe to 17th century New England to 19th century antebellum Natchez, can support a wide variety of academic areas. The poster will show the specific classes taught using Dr. Herring’s collection and will show how this kind of teaching can be replicated at other institutions.